The Aston Round Dining Table by Daytona has an original design inspired by 1920’s skyscrapers. A cage effect base finished in burnished brass resembles the lines and angles of the Chrysler building in New York. 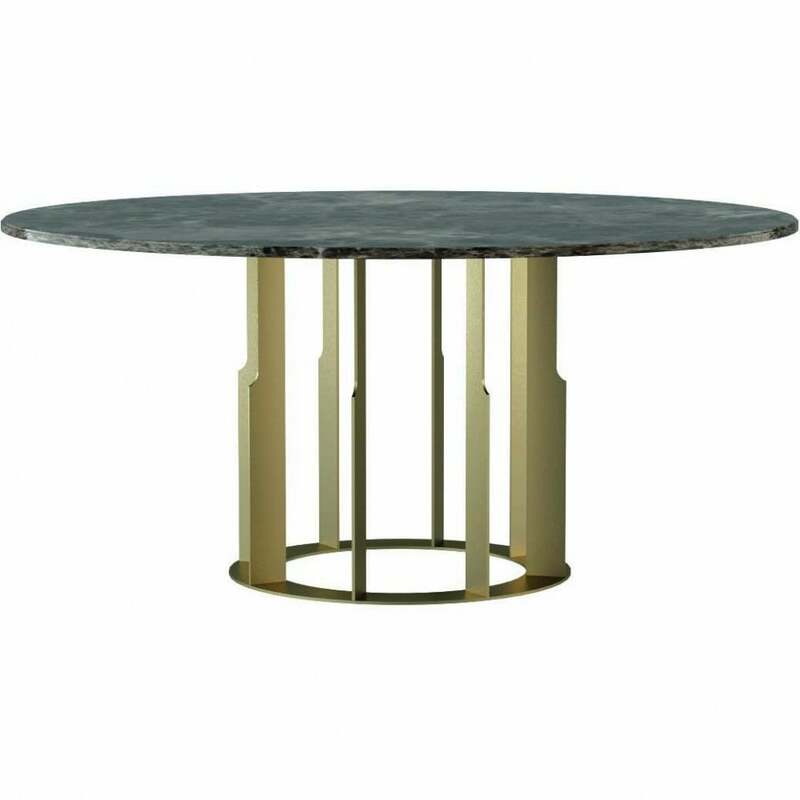 Completed with an emperador marble base, this round dining table will bring a touch of glamour to any interior scheme. The top can also be crafted in calacatta oro, rain forest marble or lacquered wood. Style with the Hanna chair for a sophisticated look that will be admired by friends and family alike. Get in touch with our team for more information.